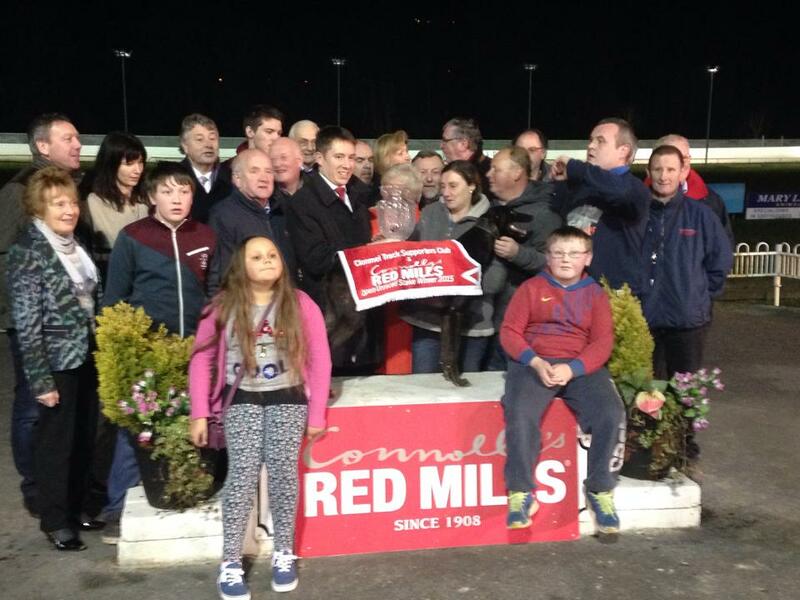 A fantastic night of opening round action in the Con & Annie Kirby Memorial has set the scene for another epic renewal of the richest puppy stake in the world, with many outright ante-post fancies laying down markers from the outset but just as the event ended last year, so it began in 2015 with a Brendan Matthews winner! Affectionately known in coursing circles as “the wee man”, Brendan Matthews is both feared and respected in equal measure. 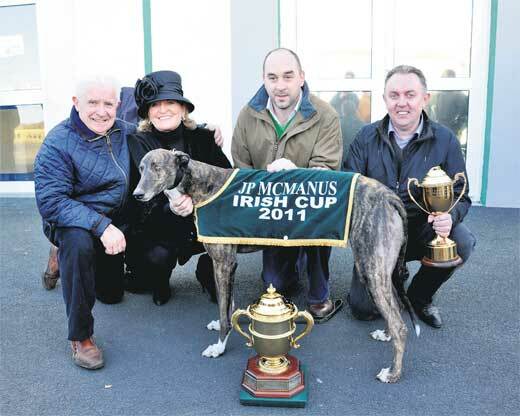 He landed the 2014 final with Boylesports Hero and arrived to Limerick this time around with three comrades from a litter by Foleys Folly out of Toms Delight. All three had made moderate career starts last Autumn with little indication on bare form that they could be serious Kirby contenders. 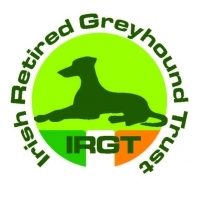 Off the track for the duration of the coursing season, they returned with eye-catching sprint trials at Limerick and there was an air of inevitability coupled with retrospective knowing nods as Leave At Dawn scorched to a highly impressive victory in our opening round 1 heat. He made a moderate start from trap 5 but hit the front when galloping the second bend like a seasoned professional in just his fourth career start and stretched readily clear on the back-straight. His winning time of 28.53 when three lengths in advance of Minglers Suarez would only be surpassed by two runners on the night, one of which was his own brother as Hoodwinked would go fastest of all in heat 10. A level start from trap 6 was enough to see Hoodwinked dominate his field with far superior early pace for a first bend lead. He had stretched to a four length advantage by midway on the back-straight and maintained that gap to the line when recording a scorching 28.37. He was followed home by Across The Way and Coolavanny Jap and the fact that these impressive runners were unable to make an impression on Hoodwinked only adds more substance to a breath-taking performance. Leading trainer on the night was Graham Holland who scored the first leg of a treble in heat 2 as Clonmel Champion Unraced winner Ballydoyle Honey looked extremely comfortable on the Limerick circuit. Hitting the front off the second bend he charged impressively down the back-straight for a seven length verdict over Pale Moon in 28.58. Holland’s Cabra Mufasa then broke well from trap 1 in heat 4 to dominate throughout in 28.98 before Rural Hawaii claimed a place on the outright shortlist with a brilliant early paced display, despite being led from trap 6 in heat 10. He cleverly switched inside his wide running trap 5 rival on the run to the bend, gaining clear racing room that would see him dominate throughout in a slick 28.55. Catching the eye when last off the second bend here was Ruairi Dwan’s Mildean Cougar who powered from halfway to reduce an eight length deficit to just three and a half lengths at the line and the Thurles raider now looks a player in the stake on a track that will suit his racing style. A maiden entering this event, Owen McKenna will be delighted to chalk a mark in the win column at the seventh attempt with his Farloe Hunter. He tracked Warrior Gem in the early strides before launching a telling back-straight thrust that would see him home by five lengths in 28.46. He will roll the dice at the first bend going forward but if within striking range on the back-straight, will prove a big threat to any prospective champion. A leading outright fancy for the event having registered 28.38 in graded company here last month, Robert Gleeson’s Droopys Braedon made a pleasing transition to open class when just forging a one length lead at the opening turn of heat 5. He showed steely determination when matched and tight for room on both sides upon exiting trap 4 before recording a smart 28.68, a length in advance of strong staying Beaming Bucko. The draw for round 2 has thrown up some fascinating clashes from the very start and while the opening heat may appear a straightforward forecast with Rural Hawaii and Mildean Cougar fancied to fight out the finish as they did in round 1, watch out for the third of Brendan Matthews’s runners, Cable Bay in trap 5. On the evidence of his litter brothers, he may step up markedly from his round 1 third and cuts a very interesting figure here. While heat 1 can be labelled intriguing, the following heat 2 can only be described as vicious, where four previous heat winners will collide and something must give. Cunning Barney was a 28.70 winner in round 1 and he has the best of the draw now in red. He can trap faster than he did last week and has a 28.42 win at Limerick on his card but if he manages to qualify then we are assured to lose at least one sub 28.60 winner from last week. Ballydoyle Honey took to the track very pleasingly in his heat win but has a scary draw in trap 2 now for not only has he to worry about Cunning Barney but his kennel companion Riverside Gold in trap 3 can fly to the bend. He has not trapped well enough the last twice however so it is plausible that Barney can just about escape unscathed. It is no easier for those on the outside but Leave At Dawn should get a run if he repeats his split from last week and he along with Cunning Barney appear to have the best of the draw. Having impressed so much when clocking 28.46 in round 1, Owen McKenna’s Farloe Hunter may have to pull out all the stops now for a coveted qualifying place in a heat that would grace the final itself. 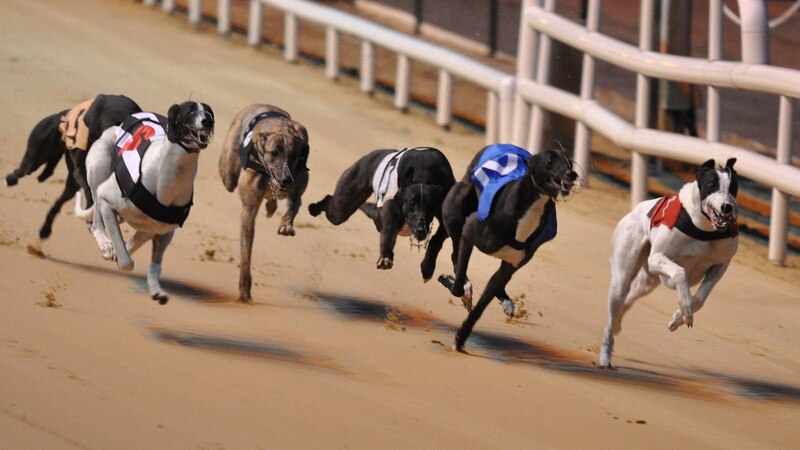 Heat 3 will then offer a highly plausible repeat win for Hoodwinked (trap 5) who is fancied to match Warrior Gem (trap 4) when the lids open before outpacing him to the bend in a likely straight forecast. Also likely to register a second heat win is Droopys Braedon with his plumb draw in trap 1 of the concluding heat 8. He can match Black Tom on his immediate outside for a clear run and back-straight lead with this scenario, the forecast suggestion. With the safety net of a fourth qualifying place now gone, expect the leading players of Kirby 2015 to lay down their markers in search of the €80,000 prize and enjoy a guaranteed night of racing excellence by Ireland`s best young trackers.